The french citizens overthrew their king to become a republican government. They got the idea from the Americans and how they had a revolution. 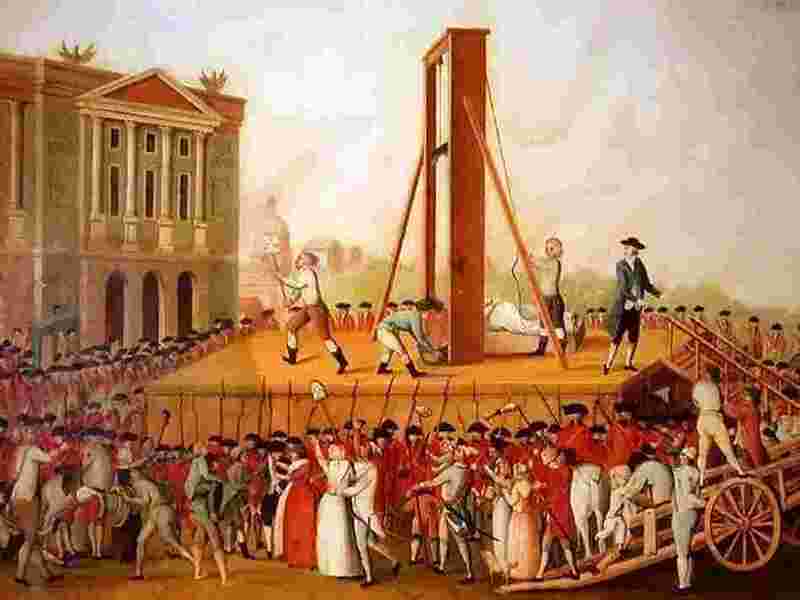 The french were very violent because they decapitated their king and queen. This treaty solved and or fixed any problems that the United States and Great Britain. They each payed their debts to each other. Stated that us, the United States would not take sides with any European country. Some didn't agree with Washington's idea. These were fights between the United States and the Native Americans over territory. As a result the signed the Treaty of Greenville. This left the indians with $20,000 worth of goods. It was a tax on whiskey made in America. A lot of people were irritated and upset about the tax. They always complained without violence until 1794 and a fight had begun. Washington took some of the soldiers to the Pennsylvania, where the fights were originated from, and most of the rebels fled.